I know we only have 140 characters, but this just can’t fly. No particular offence intended to @DrGCrisp, with whom I find plenty to agree. But…eighty percent of Chinese? Those four words are speaking for over 1 billion people!!! What the? As it happens I have been doing some global demographic research lately, and one thing I can tell you for sure is that data barely exists to say anything definitive at all about the population of China, let alone opinions on the environment/economic growth nexus. The source for the quote is a China daily article here, which tells us a bit more. The statistic comes from a survey of 3,400 residents of 34 cities conducted by the Pubic Opinion Research Center under Shanghai Jiao TongUniversity. One hundred residents in each city. Shanghai has over 20 million people. Nanjing has over 7 million people. The survey was conducted through computer-aided telephone interviews. I’ll propose an alternative view of the finding. 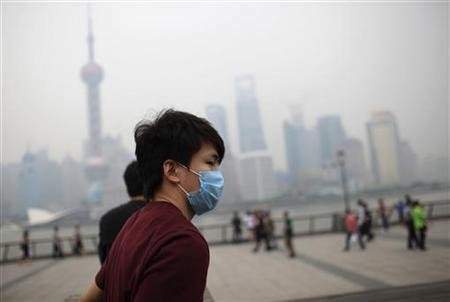 Of 3,400 residents of Chinese cities, which have among the worst air pollution in the world, who are wealthy enough to own a telephone and have sufficient leisure time to be bothered doing a computer aided interview, eighty percent of respondents would be satisfied to see economic growth sacrificed in the name of environmental protection. In other words, this tells us nothing that we did not already know: when people have attained a certain level of material security, the environment normally rises as a concern. I have no doubt that many Chinese have a clear view that more needs to be done to clear the air. Speaking for 80% of this nation of whom many are still very, very poor, don’t live in cities, don’t have reliable electricity, water etc is just not sensible. We can never drop our critical eye. When a statistic brings a pithy headline that tells us something we really want to hear, that’s the moment to take a second look and a good hard think. For polling purposes, the required sample size is (astonishingly) pretty much independent of the population size. I.e., with a PROPERLY RANDOMISED sample, a poll of 3000 people in China is almost as accurate as a poll of 3000 in the USA. Put in some values and check the difference between the sample size required if the population is infinite and the size required if its, 100000. There’s bugger all difference. Why? All you are doing is sampling and in a large population there’s bugger all difference between sampling with and without replacement. So imagine an urn with some number of black and red balls and you draw 10 balls from the urn to estimate the number of black and red balls. Then with a small urn it matters whether or not you put the balls back before each sample, with a big urn it doesn’t. That’s all. Your accuracy doesn’t change drawing 1000 balls from an urn with 1 million or 100 million. PROVIDED THE URN IS WELL MIXED! I.e., randomisation matters, not sample size. Good points, well made as always. My beef is certainly with the leap from survey, to headline, to Tweet, much more so than sample size. If the resulting sound-byte related more to the sample, I would have no problem with it. E.g. I would have little trouble believing that 80% of sufficiently well-off Chinese people living in cities in and around Shanghai want the Government to ease off on the growth in favour of more environmental protection, based on this survey. Can live with that. I’m struggling how “random” can deliver any finding that would be remotely representative of China with only a small sample. Surely if resources are limited and a country is massively diverse then some effort at “representative” is more important than “random”. Random can deliver big clusters of exactly the same thing. Perhaps the survey should be done after serious cuts in coal use so the respondents have made an economic sacrifice to inform that opinion, not just whimsical thinking. I believe recent figures are that China emits about 10 Gt of manmade CO2 out of a world total of 32 Gt or so. If their per capita emissions were at Aussie levels then 1.35 bn X 20 t = 27 Gt. I think between 2020 and 2030 there’s going to be a holy crap moment when we realise there is not enough low cost energy for the world as a whole.